A mixed-used development on the site of the old Municipal Market on Circus Street which had lain vacant, and is key to the regeneration of a disadvantaged part of the city. 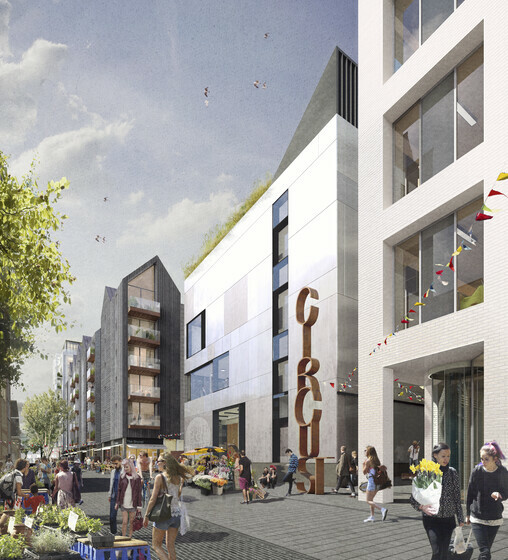 The site includes approximately 200 residential units (towers, townhouses and apartments), 3,200m² of commercial space, 1,200m² of retail, café and restaurant space, a 4,500m² learning and resource facility for the University of Brighton, 400 student bedrooms, a 1,000m² dance school and associated office space for let. With the MEP emphasis on low-carbon emissions, the various buildings are served by a central combined heat and power plant. Heat and power is delivered around the site using an ESCo provider. In non-domestic buildings cooling is minimised by the use of passive measures such as façade design, thermal mass, opening windows, displacement ventilation and adiabatic cooling to air plant as well as low-energy lighting controls. 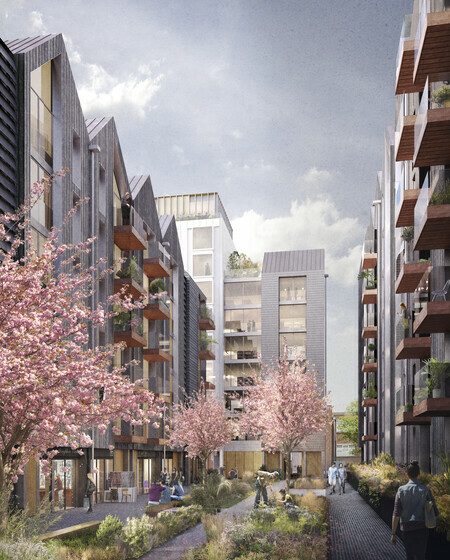 Non-domestic buildings aim to achieve a BREEAM ‘Excellent’ rating. Domestic buildings aim to achieve CSH level 4 and include whole-house ventilation units with heat recovery. Water conservation is achieved through the use of low-water use fittings. Sustainable urban drainage techniques are used including roof top gardens and landscape features such as swales. 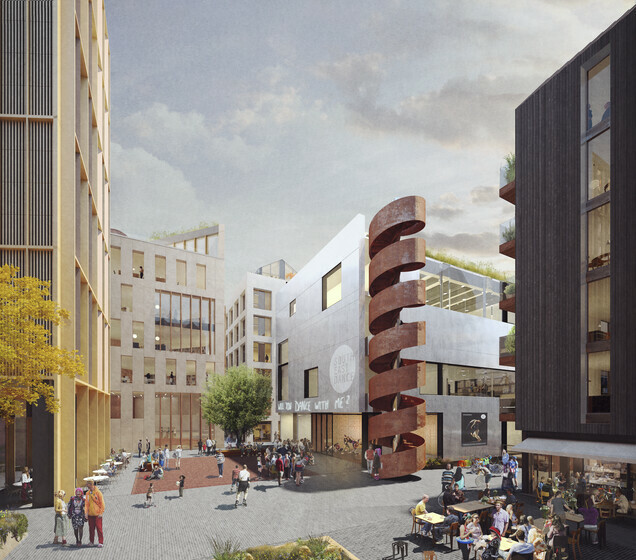 The project aspires to create inspiring public spaces and for the development to have strong sustainable credentials.